1. Federal #taxes don't fund federal spending, so let's #decouple these two important tools. 2. Taxes offset #Government spending. 4. #Taxing for #revenue is for local states/municipalities, not the #sovereign issuer of the #currency. 6. Taxing #pollution & #speculation to reduce such activities, not to "fund" #healthcare and #education. #When was #America #ever #great? I realize that there is a nearly unavoidable tendency to snort and spew one's coffee when they hear or read his question for the first time. But, honestly, isn't it worth the exercise to answer it? So, @EricHolder, I'm going to do just that, and I'm going to ask my ragtag bag of followers and detractors to contribute as well. I'm going to offer my evidence of moments of American greatness. And I'm going to ask those that read this thread to do the same. I'm going to ask my detractors and antagonists (are you seeing this @fedupaton) to contribute as well, and will welcome from them both moments of greatness and moments of shame. 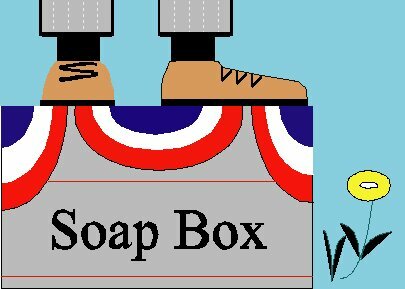 I'm back on the #soapbox. 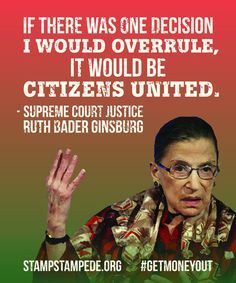 And I'm going to be on it a long time talking up #CitizensUnited until it sinks into the brain of everyone here. If we want a HOPE of restoring the #integrity of our #elections it MUST be overturned. #DarkMoney is overriding our voices in the ballot box. #CitizensUnited was and is the nail in the coffin to any pretense of #democracy. How do you think this #IllegitimateRegime was installed? #DarkMoney is the major culprit. Then there was the #Russian interference, #Hacking, #VoterSuppression and #Gerrymandering. We lost our voices this last #election that was a #coup. 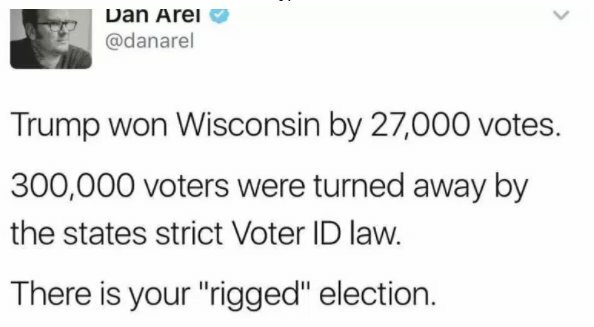 #WI alone suppressed 300K votes & that's just the tip of that iceberg. Throw in the #CitizensUnited #DarkMoney of #Adelson #Kochanistan #Mercerville et al #Russians #hacking #Gerrymandering & there you go. #Democracy dies.